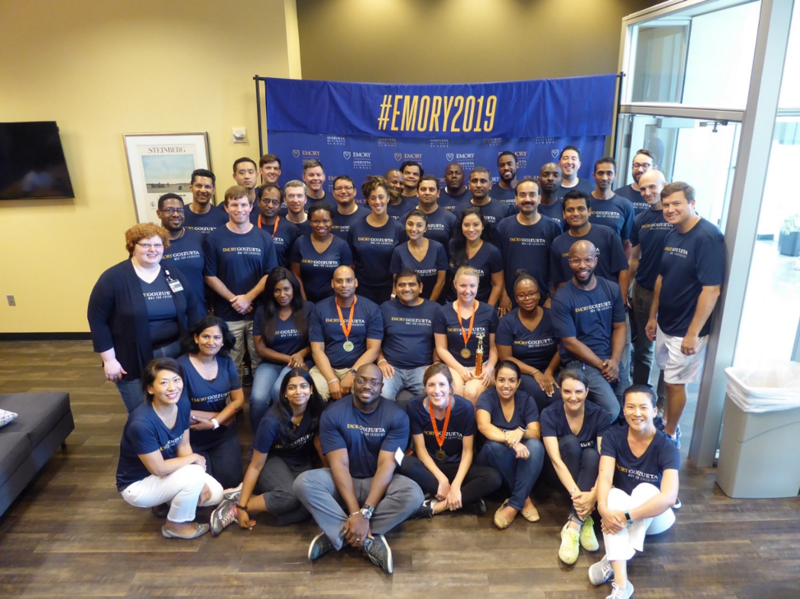 Nelson Mandela once said that “education is the most powerful weapon which you can use to change the world.” And the MBA experience at Goizueta really re-enforces that point. It helps you realize how an appetite for learning can be such an incredible asset. A quick review of the monthly jobs report during our global macro class shows a clear difference in employment and pay levels at the different education levels. When you add the power of a Top 20 US school to the mix, the value of this education is truly life changing. I was truly staggered to uncover this during my first few weeks at Goizueta. Our strategy class showed us how complex and difficult life can be in global organizations in today’s environment. We are all doing particular jobs in certain areas and think we know enough about other areas. In fact, nothing can be further from the truth. The program really humbles you in the first few months to what else is out there, what you don’t know, but most importantly learning where to go for help in those areas. When you come through the door at Goizueta, you are entering into one big family that will become a central part of your life for the following 20 months and beyond. Everyone should invest in one-on-one conversations early in the program and really get to know your fellow classmates. They will push you further, and will be a resource and friend to you when things get tough. The comradery and connections are something that you will have for many years to come. This is by far the biggest thing I would advise anyone. Completing your MBA is a challenging task, so you need to limit distractions where possible. Many nights out with friends will be missed but the sacrifice will be worth it in the end. Be realistic with family, work and friends about expectations during the program. All the research we are shown at Emory how inefficient people are when they try to multitask. Closing the door for three to four hours and focusing on the task at hand is one of the most important things you can do. The ultimate results of these endeavors will speak for themselves. It can be easy to stay in your comfort zone and select modules and projects that you are most comfortable with. However, the biggest growth can come when you take on the most difficult tasks. Being completely stuck, with no solution in front of you and no experience in that area can be one of most incredible growth opportunities you can ask for. And the feeling of gratification by grinding, hustling, working with your team and figuring out an end result is a very satisfying and rewarding experience. It will encourage you to do the same in other areas of life, and this is one of the best growth opportunities you can get from an MBA experience. This will set you up for program and ultimate life success. Brian Boland 19WEMBA, originally from Ireland, is Director for Analytics & Insights at CRH Americas Materials, part of the CRH group, the second largest building materials company globally with over $30bn annual revenue, 90,000 employees, across 31 countries. He is the founding President of Irish Network Atlanta and in 2016 was recognized in the Irish Top 40 under 40 in the US. He is currently pursuing his Executive MBA at Emory Goizueta Business School. Are you going all-in with your job search?